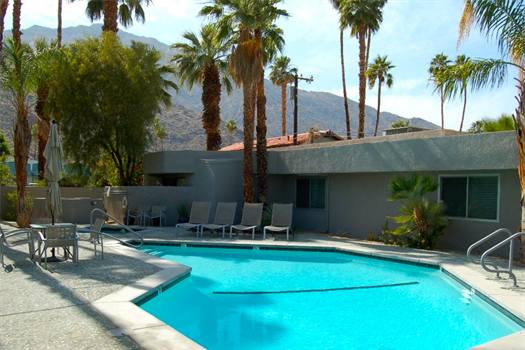 NEW LISTING: CASA ANAIS is a stylishly appointed 2 bedroom 2 bath, 1200 square foot, one level apartment with 2 private patios, surrounded by mountain views & tall palm trees in the non-windy area of old south central Palm Springs, the unit is situated within a charming classic 8 unit courtyard complex. 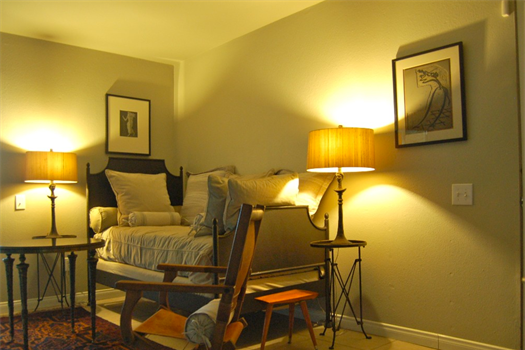 Interiors offer a lovely melding of comfort & character & are decorated in a manner best described as mid-century Paris with notable art works on paper, Giocometti style touches and natural linen soft coverings. 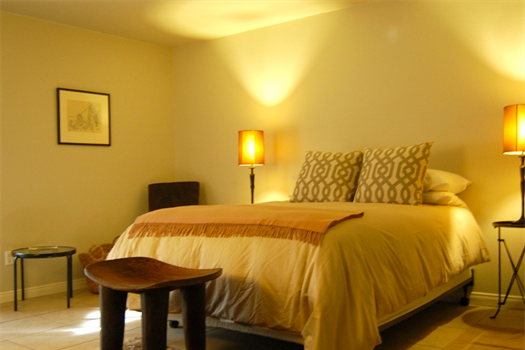 CASA ANAIS is exceedingly well outfitted with superior quality bed & bath linens, every kitchen appliance and cooking tool a good chef would want to entertain your guests as well as all of the amenities you have grown to expect such as wi-fi enabled TV, internet & BBQ. 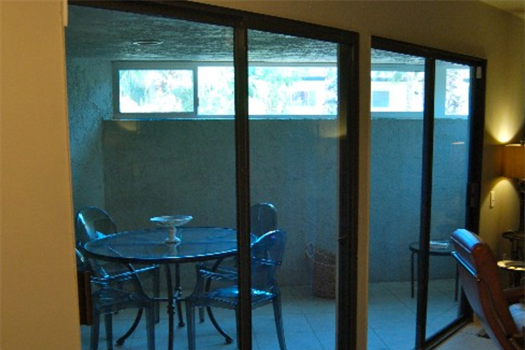 Bring your bathing suit to enjoy the year round heated spa and the pool during warm months. 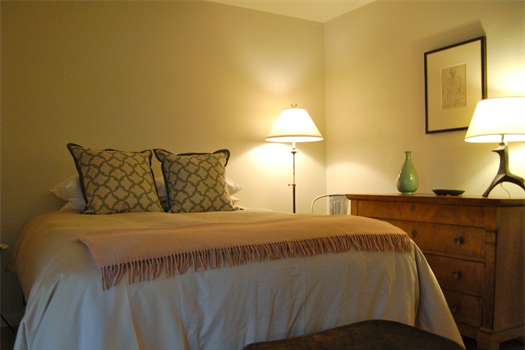 To view actual rates for your stay please click on the Get Quote or BOOK NOW button. Special event and holiday rates might be higher. City tax 11.5%. Cleaning fee required. Refundable damage deposit required. 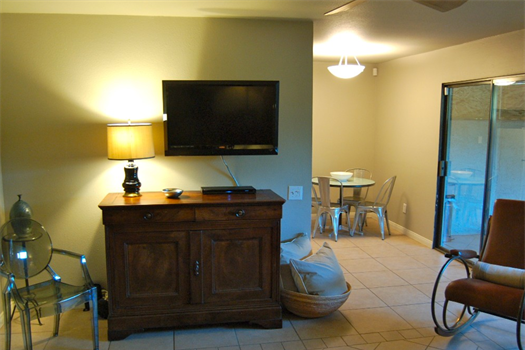 No Smoking; Holiday and Special Event Rates may be higher, 11.5% City tax; Cleaning fee- 125.00; Refundable Damage Deposit required. 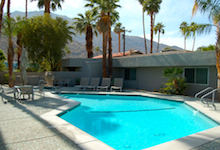 The home is perfectly located in South Palm Springs just minutes from downtown Palm Springs. 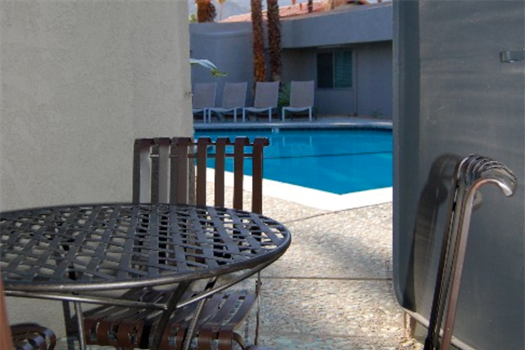 Close distance to restaurants, coffee shops, and everything South and Central Palm Springs have to offer. 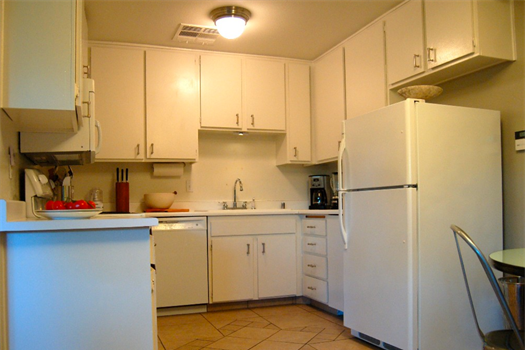 10 minutes from Palm Springs Airport and Downtown, 2 minutes to Smoketree shopping area. 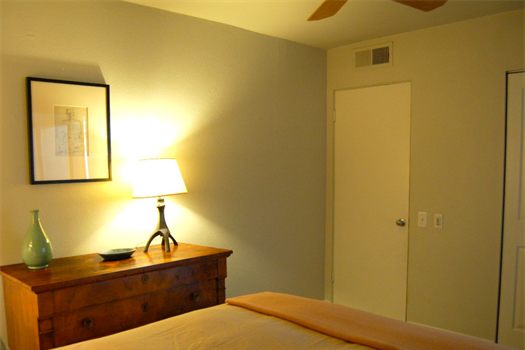 The home is walking distance to Chabad Jewish center, Ace Hotel, Horizon Hotel, and many restaurants.